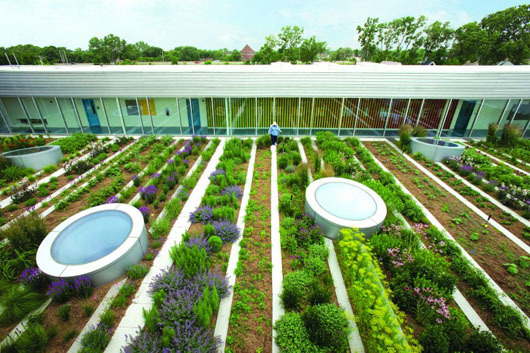 Gary Comer Youth Center roof garden in Chicago, IL is a non-profit in-place garden, growing 1,000 pounds of food annually and feeding 175 children at the center daily. Soil is 18-24" deep in growing areas. The garden won the ASLA Honor Award for General Design in 2010. The garden design translates traditional farm rows into a playful urban space by alternating the row sizes, and uses concrete bands between rows. Uncommon Ground is a rooftop restaurant garden featuring 28 raised cedar and steel frame planters (for 650 square feet of growing space) on a 2,500 square foot roof deck of recycled composite materials. Plants are grown in a special soil mixture. 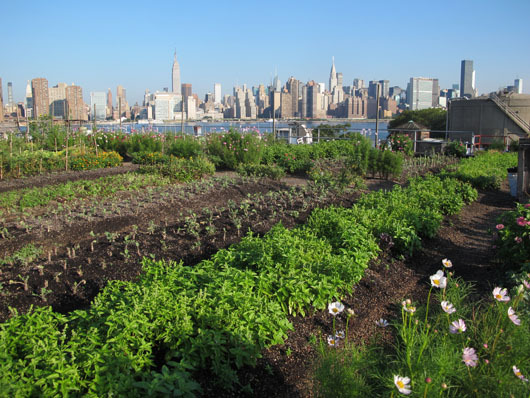 The garden was the first certified organic roof garden, and all produce goes to the restaurant. Ledge Kitchen in Boston, MA is a 4,000 square foot restaurant garden, growing produce in planters filled with a lightweight soil surrounded by recycled rubber mulch walking paths. Hydroponics as a growing system has been shown to produce higher yields, and to use less water, than conventional growing methods. Hydroponics also make production available in places where there is no soil. 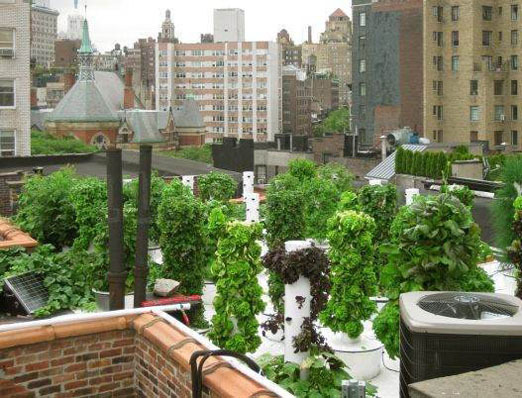 Bell Book & Candle is a New York City restaurant with a rooftop kitchen garden growing in aeroponic towers. A mist of nutrient-rich water nurtures a whole range of crops from greens to tomatoes. 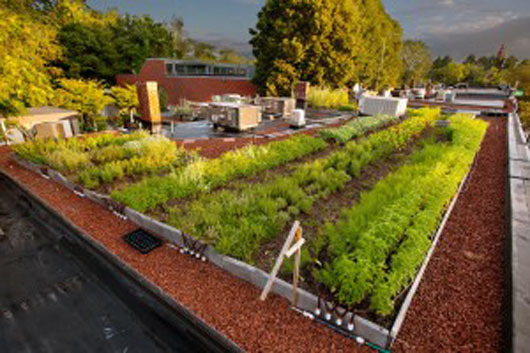 Sixty percent of the restaurant's produce is grown on the roof. The aeroponic system used by BB&C is a home system, readily available on-line. Local Garden in Vancouver is a commercial hydroponic-based farm on a parking garage roof - read more in Grow City's earlier post. How do these different systems compare for yields, management, and start-up costs? Any graduate students out there looking for a thesis topic? 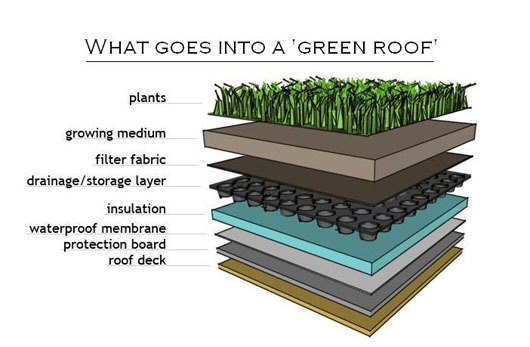 Knowing how the system will effect the success of the farm, and meet it's goals, is a crucial element in designing an edible rooftop. More on greenhouse rooftop gardens, and growing systems in a future post.